Hi loves, we’re talking about one of my favorite topics today: Hair. I’ve changed up my look recently and I decided to go a little darker. One of the reasons I decided to go with this caramel chocolate duo, was to change up my look but I was surprised when the hairstylist mentioned how brittle and damaged my hair was. I have a love/hate relationship when it comes to lightening my hair because although I looove how the color looks, it takes such a toll on my locks. I began to test out some of the products that were sent in the mail, but I became obsessed with one of them. Let’s be real, we all have some hair damage in one way or another. On a personal level my breakage and damaged ends are due to constantly dying my hair since I was 19, being NO stranger to heat tools (I usually curl or straighten my hair daily if not every other day) and from brushing my hair numerous times when humidity strikes while travelling. At times I would think my hair was too high maintenance, but I would tell myself “hey, it’s part of the job”. I was extremely grateful when my friends at L’Oréal Paris reached out and mentioned that they had a new product perfect for damaged hair. It almost seemed too good to be true when they asked me to be a L’Oréal Paris partner, because I strive to work with products that I truly use on a daily basis and this was a hair concern that I had been wanting to solve. 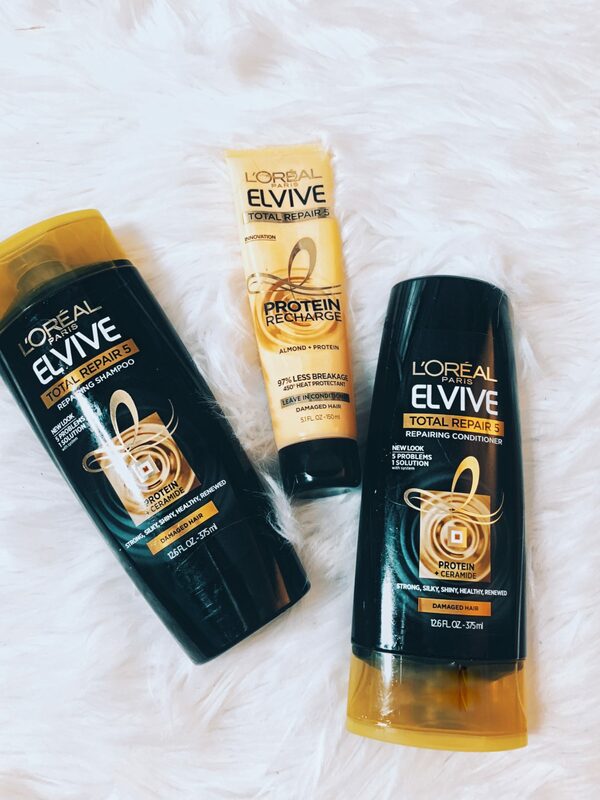 The full L’Oréal Elvive collection is made up of shampoo, conditioner, mask and leave- in treatment. The whole product line is specifically for damaged hair– whether it be split ends, weak, dull, dehydrated, or rough hair. I’ve personally been in all those situations. and I’m so happy to know that there’s a complete kit to solve such a common problem. My personal fave and my go-to product from the collection is the Elvive Total Repair 5 Protein Recharge. The product has a creamy texture to apply post-shower– I usually squeeze out about a quarter sized dollop and apply on the tips of my wet hair. My tips are the most prone to damage, but the product can be used in any areas that you see necessary. For the ultimate nutrition and heat protection, I comb the leave in the treatment and then style as usual (most often than not I start by drying the hair). I love that this treatment not only helps to increase strength, but also has added heat protection too — it is basically an all-in-one product for post-shower! I learned that because hair is made of protein, it craves protein to strengthen and revitalize the weak and breakable strands of hair. After using the leave in treatment, my hair instantly felt stronger and even silkier. The creamy texture even added a little shine which gave a salon fresh look to my hair. There’s no feeling more satisfying than having healthy hair! I love that I get to share a product that I completely stand beside to make each and every one of your days easier and even create a more confident you! I don’t know about you, but when my hair is looking on point, I don’t just walk out of my house , I strut out feeling like a million bucks. You can find this product at your nearest drug store or even order it online and have it delivered right to your doorstep. Personally, I feel like this could be considered a salon quality product because of the results I’ve gotten (plus, the price is $6.99 !!) L’Oréal Paris has done it again and although they always create such amazing products I have to say that this one specifically struck home in terms of my hair needs. Shop the product on the clickable URLs in this post !  Leave a comment beloiw and let me know what your experience is with the L’Oréal Paris Elvive collection ! I love your messy hair look! I always try to do my hair like that!